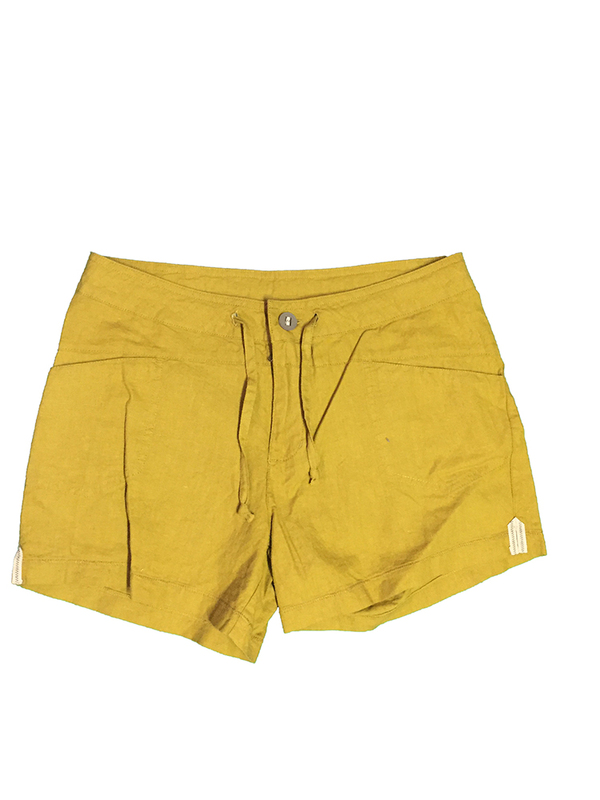 The Rock Hemp short is designed for climbers and built for sport climbing, climbing trips and every other day. The Relax Fit optimizes comfort with a loose shape and flat adjustable waistband. The 8,5cm leg inseam lets you enjoy the warm summer breeze while covering enough of your thighs to keep movement comfortable. A bias trim on the hems will also contribute to unrestricted mobility and the hemp and organic cotton blend fabric fulfills the purpose with a lightweight and fine texture. Lower positioned pockets allow to stow small items and are harness-compatible.